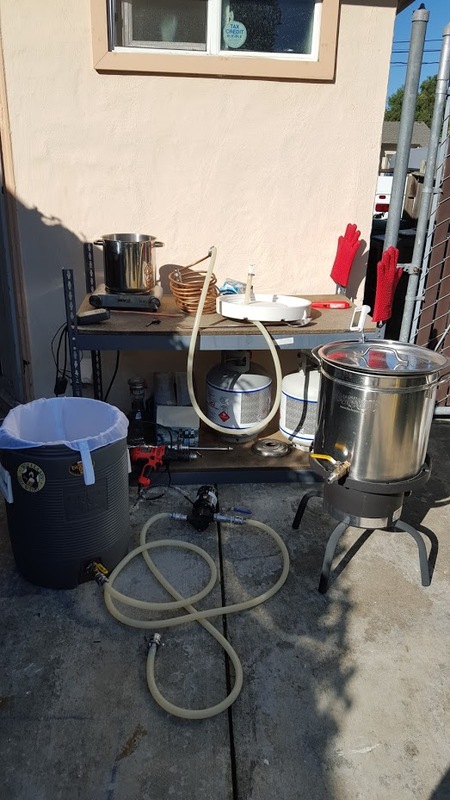 A while back I posted about my ghetto HERMS system. Here she is. The hot plate is controlled by the Inkbird ITC-308. That coil there goes into the pot on the hot plate that gets filled with hot water (I just heat 2gal extra with the strike water). Chugger pump was $93.46 total thanks to a sale at Morebeer San Leandro. All the fittings & tubing came out to around $110. The hot plate was $25 on Amazon when I got it. I already had an immersion chiller that I modified for this, and the 2gal pot I used as well I already had. The ITC-308 was $35. This is a siphon sprayer and a hose clamp. Channeling is a non-issue with this here. It's lovely. Also incredibly cheap. 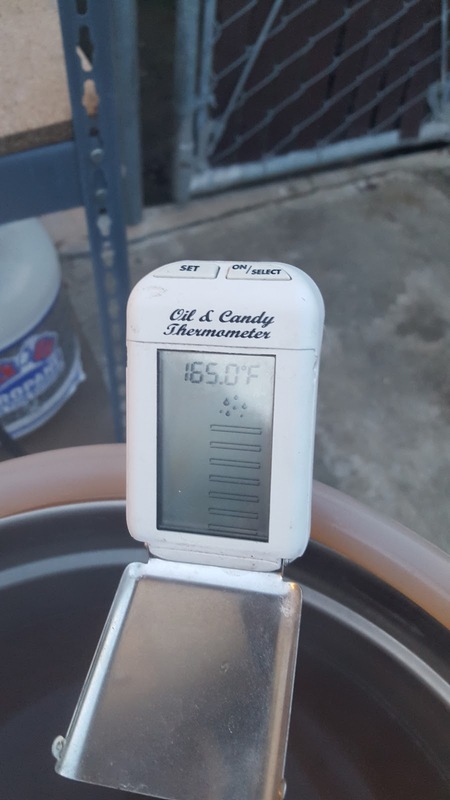 On 1/17 it was about 60F outside, great brewing weather. Better still, the ground water was coming out around 50F because of the cold weather we had been having. "Cold" weather. Haha. Suckers where it snows. Pictures were taken about 45 seconds apart. 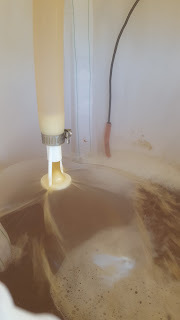 I just recirculate through a small plate chiller, back into the kettle. It works so much faster than the immersion chiller I used to use. The plate chiller I got from Morebeer as well, the Shirron. Works if you circulate it through the kettle for ~5mins or so, gets me down to lager temps with the ground water as cold as it is now. All 'n all, I spent roughly $370 in upgrades last year. I did spread it out a bit, so it wasn't all at one time, and that certainly made it easier. I also had a few things that would have added to the cost, and that's also nice. That picture is from 1/17, a great day for me. It was the day I decided I wanted to brew a Flanders Red. Why? Well, there are a few reasons. One, I love the style. Two, I've never done it before. And last but certainly not least, my son is due in March and I may not get to brew for a while after he is born. So I decided I'm brewing several batches before he's born, but just in case it takes a while until I can brew after, I'll have this in the works. That's most of the gravity sample I took. 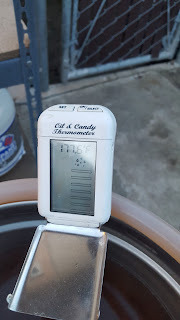 Brewed 1/17, sampled 2/8, from 1.048 to 1.012. 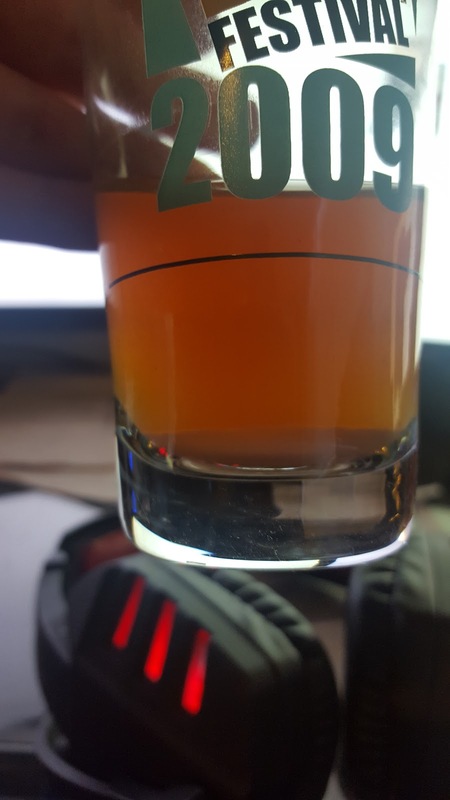 I transferred it into a keg with some medium toast french oak cubes and hit it with a bit of gas to seal it. I'll check on it in a couple weeks and see if I need to hit it with more gas or not, but I'm betting not. I'll need to bleed off pressure I'm guessing to keep it from being over carbonated, but if things go as planned I should be able to bottle from the keg and not need to prime at all. Currently it is quite promising. I get a tiny bit of tart in the flavor, which surprised me for two reasons. One was the aroma (suggesting more) and the other being the age (expecting none). Pleasant malty/grainy and a bit of dark fruit flavors in there. Going to be interesting and I'm really glad I decided to do this batch. Homebrew Finds | Scouring the web for homebrewing deals and finds!